Please email resume to ayk.astarcioglu@lhsystems.com and reference Avjobs when applying for this position. As of 3/27/2012, Lufthansa Systems Americas is actively recruiting for this Senior Manager Service Delivery-Project In-Flight position. The posting has been viewed 4 times since its original post date. Lufthansa Systems Americas has received 0 resumes by email for this position. Be sure to send your resume for this position using the "Send Resume" button or the phone, fax, email, and instructions provided on this page. 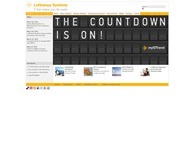 Please visit the Lufthansa Systems Americas web site for any additional details or information. Lufthansa Systems Americas, Inc. is looking for a very well-qualified and proactive Senior Manager Service Delivery/Projects In-Flight Infotainment (IFI) to be located in San Francisco, CA, USA. We offer a competitive salary and excellent fringe benefits, including tuition reimbu.rsement, flight privileges, 401(k) with company match, medical, dental, LTD, EAP, FSA, long term care, vision, and life insurance. Yes - Active Avjobs Members will be given preference in our selection process for this posting.